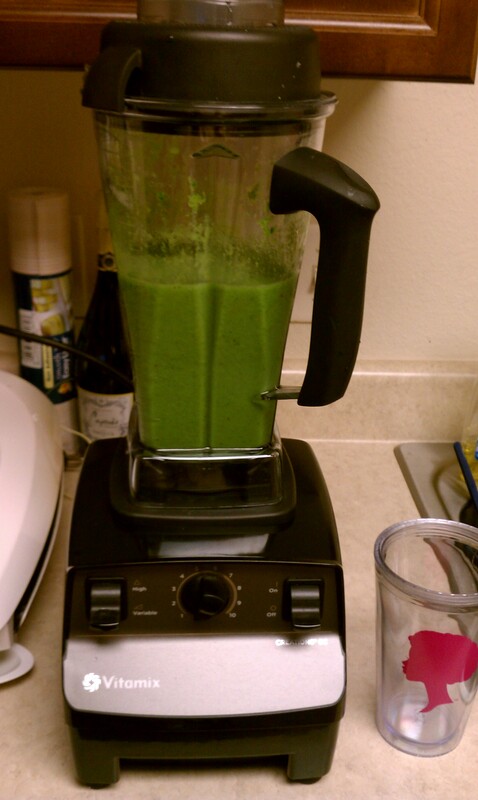 Green Smoothie Mixology – the start of my day! Over a year ago, I started juicing and was totally surprised to receive a very nice Jack LaLanne juicer from my sister. Now the thing with juicing, it’s time consuming and takes a lot of prep work and clean up. When I first attempted going green, so to speak, with my juicing, I tried it with a blender, but unless you have a pretty decent blender, it’s not going down. Well, I put off buying a good one for a while, but thanks to QVC and Easy-pay, I invested in a Vitamix. I’m enjoying it thus far! 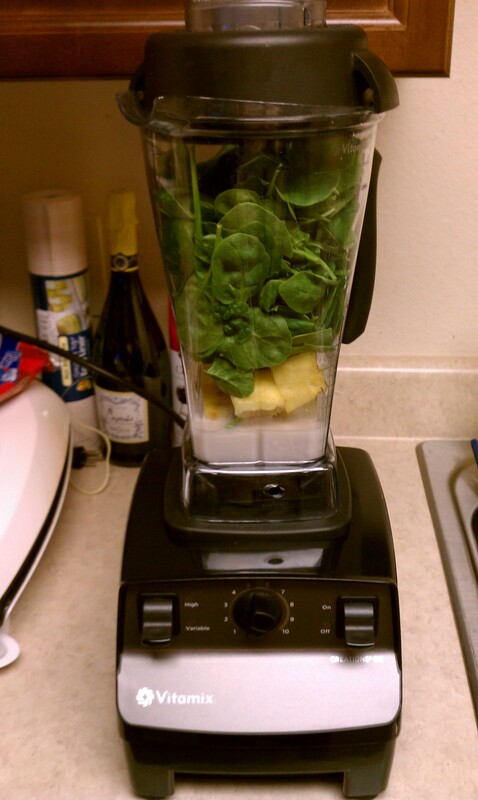 I try to have a green smoothie daily, 4 – 5 times a week, definitely during the work week. I’ve found by using a blender, I can normally get 2 smoothies out of each mix, whereas with juicing, I was lucky to get 8 oz. My norm with Juicing was always spinach, an apple, ginger and lemon, this is what Jeanette Jenkins, Celebrity Trainer, tweeted one day and I love it! I also tried adding a 1/4 of a beet and it’s not bad and changes from the juice’s color from green to red. 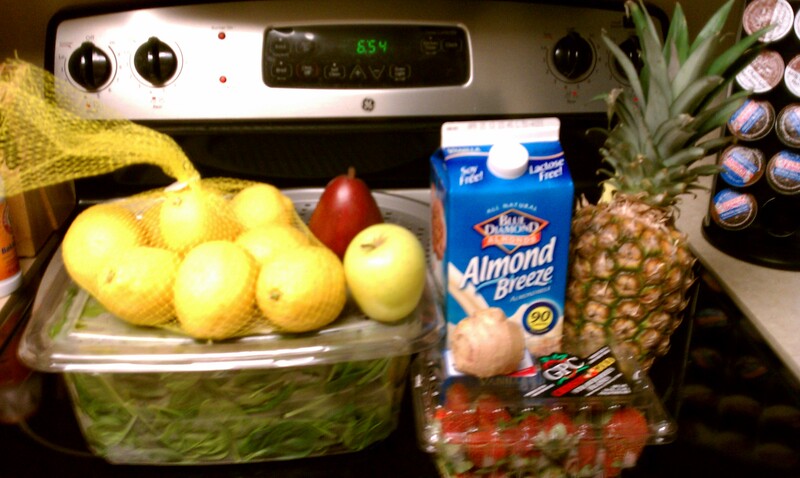 What I’m doing with my green smoothie from the pic above is placed in the blender in this order – almond milk, pineapple, spinach, lemon, ginger, apple, pear, frozen banana and a cup of ice. It tastes great, very creamy and is filling. I normally drink that on the way to work or at work, and am good, no hunger. I just follow it up with a snack a couple hours later. That’s it for this edition of my Green Smoothie Mixology! Are you on the Green Smoothie craze? This entry was posted in Green Smoothie. Bookmark the permalink. 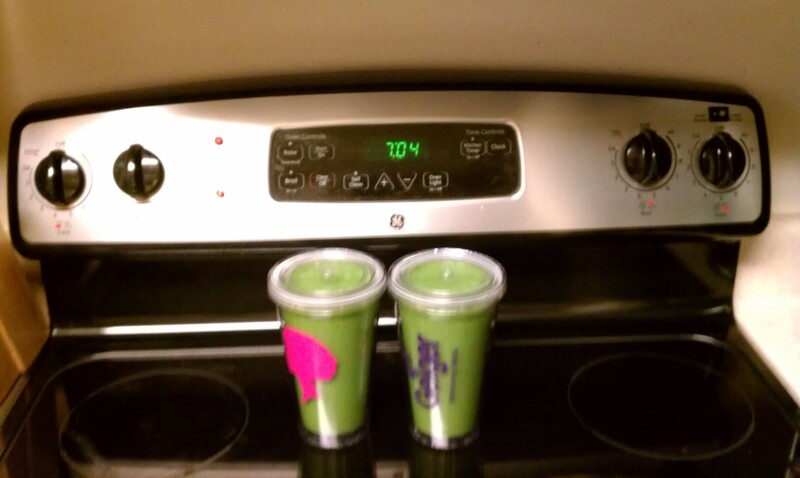 2 Responses to Green Smoothie Mixology – the start of my day! I am just becoming familiar with QVC! My Keurig had an easy pay too, but I just paid for it, but I was so happy when they sent me a special to pick up to two items of my choice for easy pay! I have to pay more attention now lol.